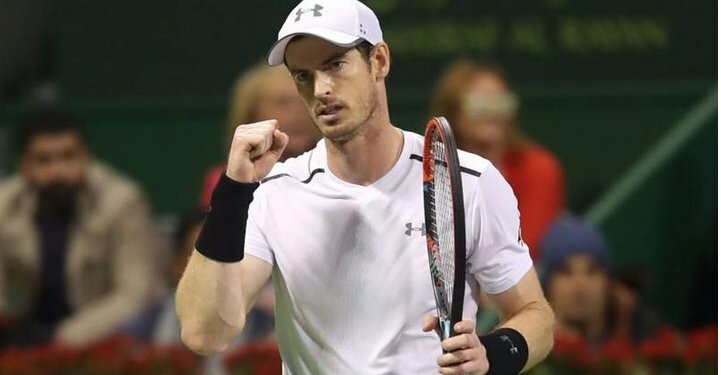 Novak Djokovic snapped Andy Murray's 28-game winning streak to capture his first title of the year, edging the newly-knighted Brit in the Qatar Open Final. It was a major mental one-up to kickstart the season for the Australian Open champion, who will begin the defence of his Australian Open crown come the grand slam in a week's time. The world's top two tennis players were like-for-like in the first set, with the first break coming after 8 games by the Serb. Intended to be a tune-up for Melbourne, both competitors were pushing the limits right from the outset, as their rivalry is set to hit a new gear in 2017. Novak claimed the first set to the frustration of his opponent, responding to a lob with a vicious cross-court shot, putting the wind behind his sails as he marched on with one set left to victory. 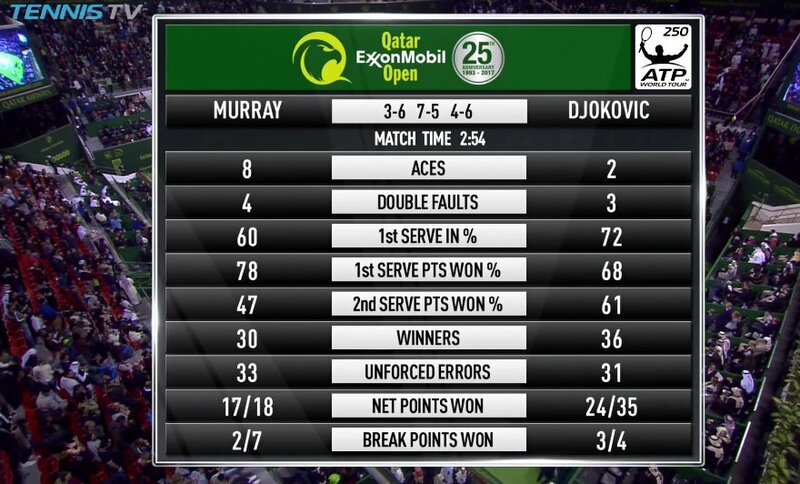 Similarly to the first set, neither would give up a game for a while until Djokovic broke Murray - despite the best efforts of the Scot whose fiery serves caused some trouble. What didn't seem to trouble the world number 2 as much was hitting his head on the court after slipping on a return. Murray would rally though, and refused to give up the title. A couple of aces before a thunderous volley helped him to get the break, and then he served to take the set - after overcoming three match points. The tide was turned as the game delved into the final set. Flawless serving, absorbing ralleys - and then a mid-set break which handed it in Djokovic's favour. Djokovic backed up Murray, saw off his aggression, and put himself in a position of serving for the title. And that he did. One last rally for the Qatar attendance to savour ended with an error from the Wimbledon champion, an a sigh of relief - Djokovic took the major mental edge and grabbed the title. The pros are back on tour, and the world number two has made an early statement in search of his crown. But one thing is for sure, these two will be seeing plenty more of each other throughout the season.